Eagle Plains Resources Ltd. (EPL:TSX-V) is a mineral exploration company operating in Western Canada exploring for gold, base-metals, uranium, rare earth elements and industrial minerals. Tim Termuende provides an update for both Eagle Plains and Taiga Gold Corp. 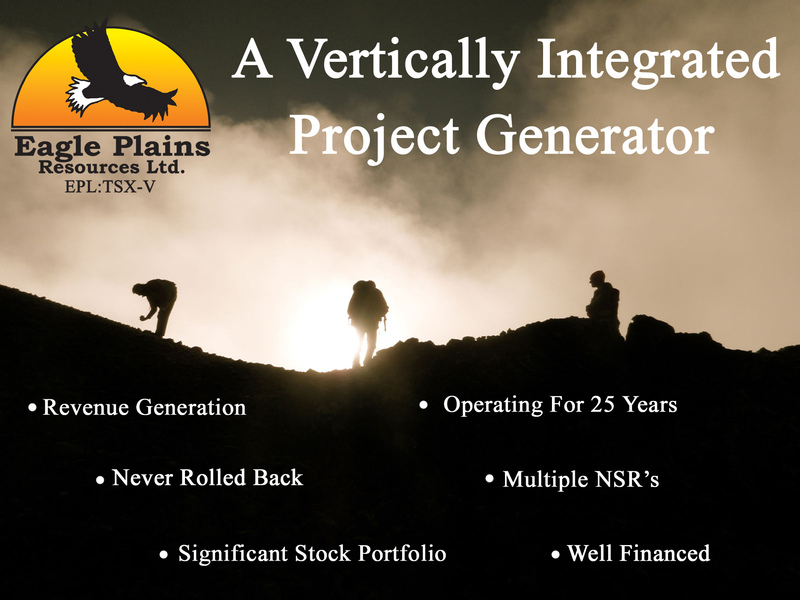 The primary objective of Eagle Plains' project generator business model is to create partnerships with other companies to advance its exploration projects. Partnering companies may earn an interest in an Eagle Plains project by conducting exploration work in addition to making cash and share payments. Once the earn-in requirements have been satisfied a joint-venture partnership is formed and the partners contribute going forward based on their interest in the project. This strategy is designed such that in the event of a mineral discovery, Eagle Plains may spin-out its interest of that project into a new company to make it available for acquisition. Shares of the new company are distributed to existing Eagle Plains shareholders. Another aspect of Eagle Plains project generator business model includes exposure to the work other companies conduct via royalties on properties that have been vended to them by Eagle Plains. Currently Eagle Plains holds royalties on over 15 such projects owned by junior to senior mining and exploration companies. For the most part these royalties are 2% Net Smelter Return Royalty (NSRs) and where 1% may be purchased from Eagle Plains for $1m prior to production. Here is a link to a map of those properties where Eagle Plains holds underlying royalties.